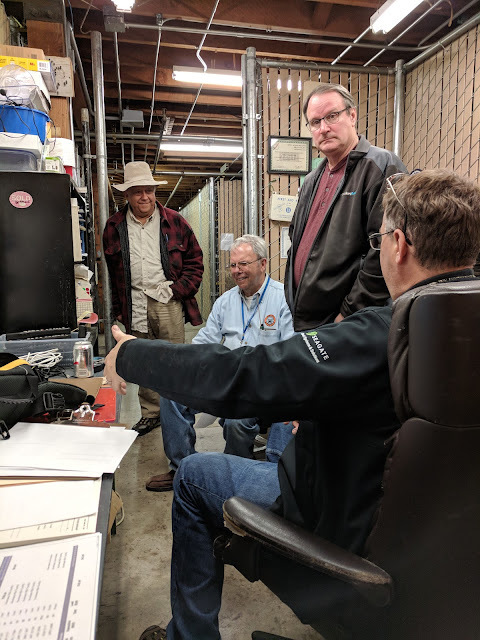 Lostentry - Welztalbahn, Model Railroading, and more: "Dispatch, this is train 276..."
Another first: I dispatched the Silicon Valley Lines Operations session tonight. And I didn't completely mess it up. At roll call the yards where taken care of, but our usual dispatcher was out sick. So I volunteered to do it, and I survived the evening. A quite different assignment than usual, but I had fun, and that's what it's all about. SVL employs Direct Traffic Control (DTC), following the example of the Southern Pacific. FRS radios are used for communication between train crews and the dispatcher. 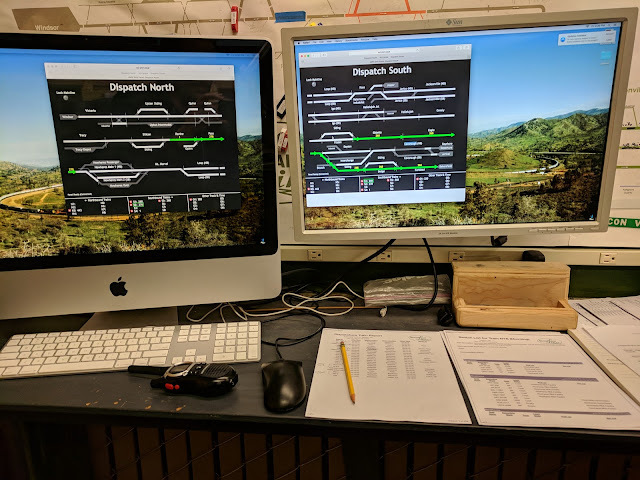 The dispatcher gives verbal authorization to the train crews and marks the authorization on the dispatch panels shown in the first photo. When we deploy occupancy detection, the computer will clear the reservation as the train moves from block to block. For the moment train crews are expect to call in their location to dispatch as the pass major stations or junctions.